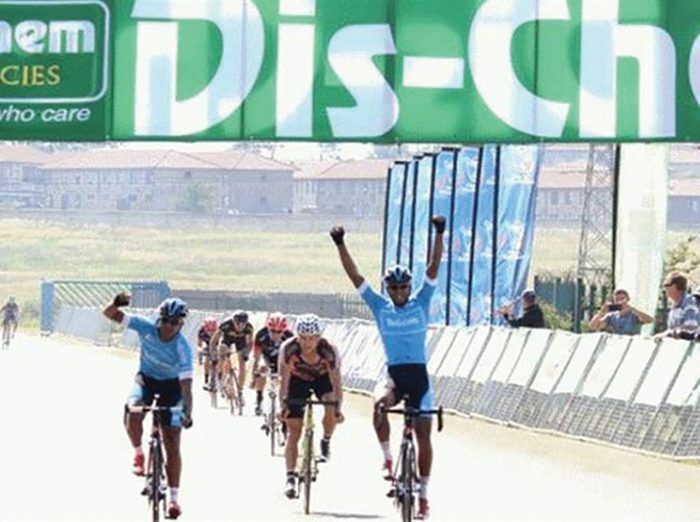 To the 5000 plus cyclists who rode the Dis-Chem Ride for Sight on Sunday 18th February and their generous donations, the Donation Draw raised R39 920.00 and this amount was matched by the Dis-Chem Foundation resulting in a great total of R79 840.00. These funds will help needy families to pay for genetic testing to ensure their children are not left out of promising therapy trials. All other proceeds support genetic research to find treatments for retinal blindness which is being conducted at the University of Cape Town. The 30th Edition of the Dis-Chem Ride for Sight was won in Boksburg by Reynard Butler(Team ProTouch) in an excellent time of 2:39:55. A strong field with all the top cyclist in South Africa competing off the back of the SA Road Champs and Time Trials lead to some exciting racing. The 116 km Super Classic event saw numerous attempted breaks from the main bunch. Gaps were closed within a few kilometres. At 10 kilometres to go, the last two break away riders were caught by the peleton which lead to a bunch sprint. Butler took the sprint from Nolan Hoffman and Shameeg Salie. The ladies event was won by Carla Oberholzer in a time of 3:40:07 from Vets Ladies Jo Van De Winkel with Mandy De Beer taking 3rd place. The strong wind and high temperatures made racing extremely difficult for the ladies to make a break. Oberholzer’s teammate, Heidi Dalton, set up the win for Oberholzer close to the finish. The event has raised over 10 million rand over the last 30 years to fund genetic research at the University of Cape Town.